On the bookshelf – (well, on my bedside table actually) – is a book I recently finished that I want to share with you. 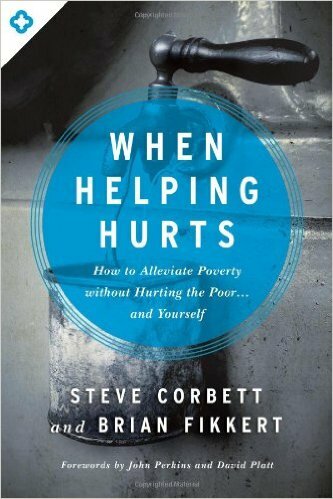 It is called “When Helping Hurts” by Steve Corbett and Brian Fikkert. The tag line says “How to Alleviate Poverty without Hurting the Poor…and Yourself”. Are you interested yet? Ha ha! Well I don’t blame you if it sounds boring, but let me tell you that I truly believe that every Christian should read this book! Allow me to give you just a glimpse of why I make this bold statement. The mission of the Church. The task of God’s people is rooted in Christ’s mission – particularly in spreading the good news among the hurting, the weak, and the poor. “Hence, it is not surprising that throughout history God’s people have been commanded to follow their King’s footsteps into places of brokenness.” (pg 37) This very truth is why many of you serve your communities, and for our family is why we are going to N!ger. Our God-given purpose is to serve and give our lives away for all people. “Poverty” isn’t just about money. This book explains the true depth of the definition of poverty – that it has as much (if not more!) to do with relationships as it involves material wealth. I couldn’t possibly summarize those chapters here, but let me assure you that it was enlightening! In a nutshell, when the four foundational relationships – with God, with ourselves, with others, and with creation – are functioning properly, people are able to fulfill their callings of glorifying God by working and supporting themselves and their families with the fruit of that work. This means that you don’t have to be materially poor to experience poverty. And it also means that you may not be experiencing poverty even if you are materially poor. Money is not the core defining factor – relationships are! Bringing “relief” is fun. Bringing “rehabilitation” is costly. And when I mean costly, I am not referring to dollars. I mean time, energy, and heart. You see, Christians see a need and immediately desire to fix it, to meet that need. If that person is thirsty, get them water! But…what if they can get water for themselves, but they just simply didn’t know how? Or what if they are thirsty because they wasted their water in some way? You see, providing RELIEF is to get the water. Providing rehabilitation is to teach and train and educate and disciple about water habits, water use, and water conservation. You’ve heard the old adage about giving a man a fish, versus teaching him how to fish? It’s the same idea, only adding a spiritual dimension. The authors share in great detail how bringing relief is important at times, and then how crucial it is to move toward rehabilitation and ultimately development. All of this effort works toward reconciling broken relationships. Some final thoughts. I’m thankful our mission agency required this reading. It has deeply encouraged me, affirming our call to this work in N!ger. You see, it is easy to argue that our work with marriages and families might seem “less important” than translating the Bible into new languages, planting new churches, or providing much-needed medical care. No one has actually said this to us, but I admit that I’ve struggled with lies like those. When I think of these things, I realize that there is not a short term mission trip* which will provide the necessary investment of time, energy and heart to produce this. 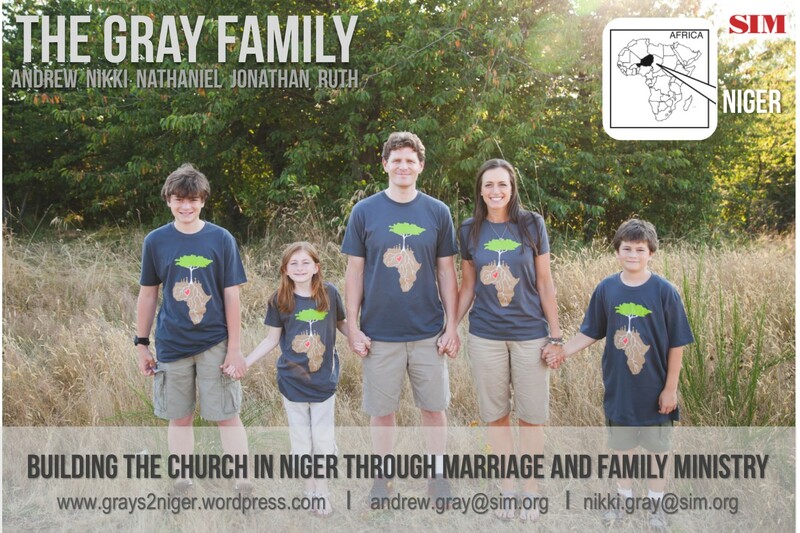 Our family is going to N!ger to share our lives with the people there, to help them learn “how to fish for themselves” when it comes to Biblical marriage and family issues.